In the winter months, Mt. Robson can seem an intimidating force to some folks. But certainly not the fellas from Robson HeliMagic, an outfitting company that specializes in helicopter-lifted ski and hiking adventures. 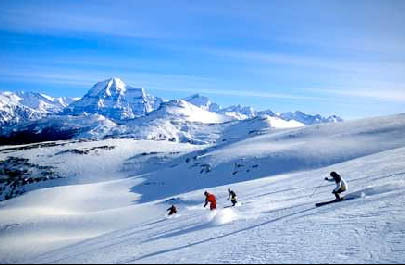 Robson HeliMagic offers skiing, snowboarding, snowshoe tours, sightseeing tours and hiking tours throughout Mount Robson Provincial Park. The catch, of course, is that all these tours begin at the helicopter pad in Valemount. If you’re willing to shell out the extra cash and aren’t afraid of heights, taking a helicopter to the top of the mountain is an extraordinary experience. Plus, it’s a whole lot easier than walking all the way to the top! Catch fresh snow with a helicopter tour up Mt. Robson! Established in 1991, Robson Helimagic offers amazing vistas for hikers, campers, mountain climbers, and non-able bodied individuals. 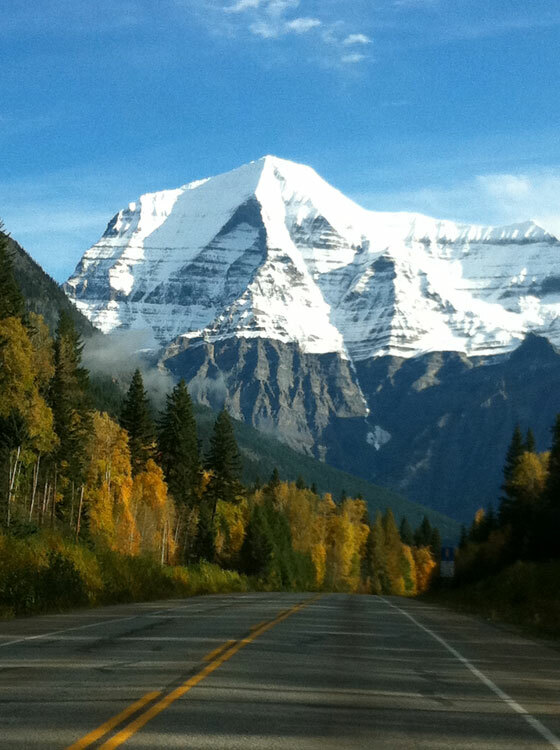 They have an arrangement with Mount Robson Provincial Park that allows them to fly into Robson Pass on Mondays and Fridays. Robson HeliMagic’s terrain is the south side of Mt. Robson, the highest peak in the Canadian Rockies. With access to 1,500 square kilometers of the finest high country skiing, you don’t have to be an extreme skier to have the time of your life. If you are a strong intermediate skier you can heliski. Looking for something a little less extreme? 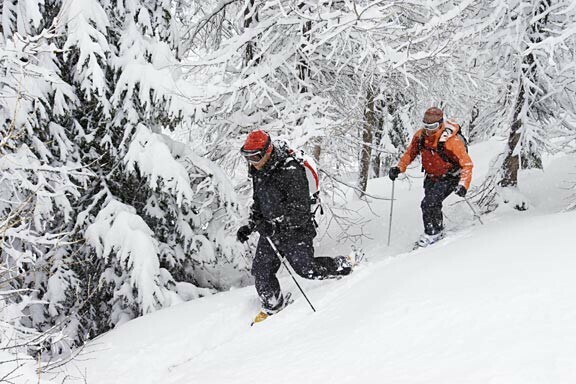 Try snowshoeing with an experienced guide. If the silence, beauty and peace of winter is calling you, this is the escape you need. Don’t wanna get that wet and wild? Enjoy a flight over Emperor Falls and Robson Glacier before landing on the shore of Berg Lake. The frozen lake allows access to view Berg Glacier up close. 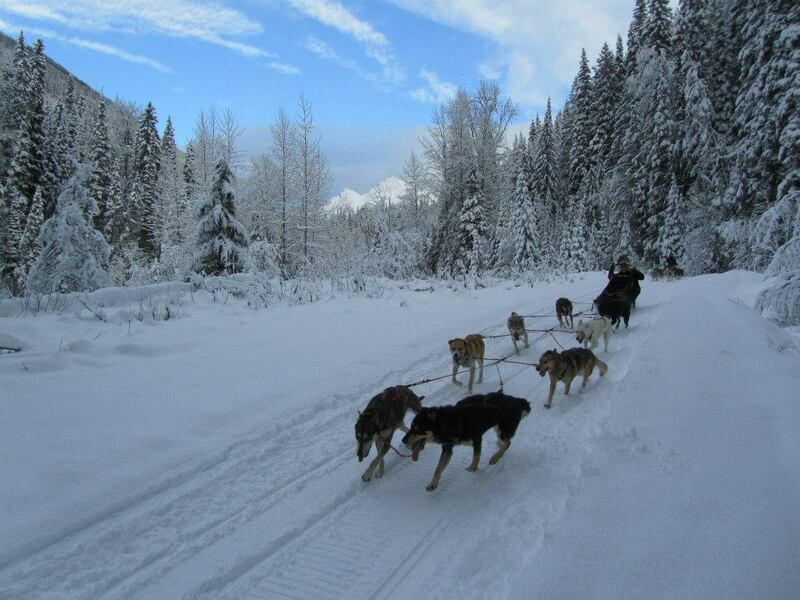 Whatever your snow day activity might be, we hope you will consider our Mount Robson Inn for your accommodations. We have a self-contained cabin as well as a lodge with a bed and breakfast style full meal served every morning. Hope to see you at the dining table soon! Here in the Canadian Rockies, we are fortunate to experience the beauty of the changing seasons throughout the year. Each offers its own unique experience and opportunities to enjoy them. The snow is melting, filling the rushing rivers and creeks. The trees are budding with delicate new growth and the sound of birds fill the air as they pass through on their annual migration up north. Some birds make their home here for the summer, and the Rufus Hummingbird is one of our area’s most entertaining resident. Bears are waking up, hungry after a long sleep, finding delicious spring mushrooms and dandelions to eat. The Berg Lake Trail is usable, the first accessible extensive back-country trail in all the Rockies. Commercial winter activities are closing, and the summer activities begin to operate again. The season is in full bloom, an explosion of wild flowers fill the meadows and ditches. Local wildlife feasts on Mother Nature’s bounty, storing energy for the coming winter. New-born babies of all kinds can be seen; fuzzy little bears with protective mama bear, spotted fawns staying close to mother deer as they cross the highway, and baby humming birds buzz around the sugar-water feeders in swarms. The mighty Chinook salmon come back to the waters in which they were born, to complete their life cycle in a dramatic migration 1200 km upstream the Fraser River. Mount Robson Park hosts the headwaters of the powerful Fraser River, which empties into the Pacific Ocean at Vancouver. The salmon swim the length of the river, some stopping sooner than others as they recognize their birthplace. Eagles are a common sight as they feed on this rich protein source. Local tour operators are in full gear, offering visitors to the area an abundance of fun choices, something for every one of all age groups and interests. Popular activities include hiking, white water rafting, horseback riding, guided fishing expeditions, gentle river floats, and 4X4 ATV tours into the backcountry. Click here to see summer activities. The crisp air is filled with the aroma of autumn. The colors of the trees are changing from a verdant green to rich yellow, red and oranges. Leaves sprinkle the ground and the squirrels scamper through them as they are busy storing pine nuts for winter. Fewer people around at this time offer visitors a quieter experience, a unique opportunity to relax and enjoy the great outdoors. This is perfect hiking weather, with a long sleeved top with vest and pants acting as comfortable attire, neither to hot or cold. With no flying insects to swat at, less people around, and the fall colors, this time of year is a favorite for many. Snow-laden tree branches bow under the weight of their burden. The ground is white, as far as the eyes can see. The landscape consists of sharp contrasts; the dark green of the pine trees and the stark whiteness of crystallized snow. Many winter days feature blue skies, the mountains dramatically outlined against the azure sky. Mountain Robson gleams bright, the light reflecting off its south face. It hurts to look at it, it is so bright, and one must shield their eyes from the blinding snow glare. The days are mild, and the snow-covered landscape beacons the outdoor enthusiast. 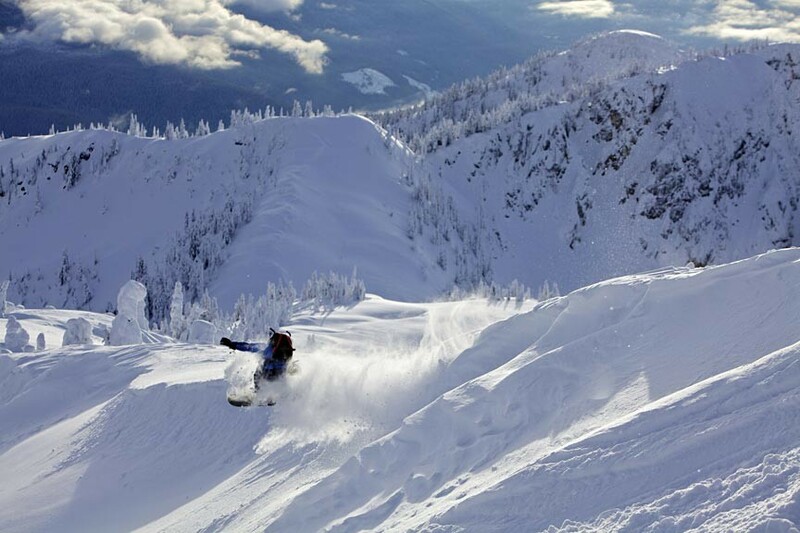 Find here some of the best snowmobiling in all of western Canada, with groomed runs to alpine snow bowls and day huts. 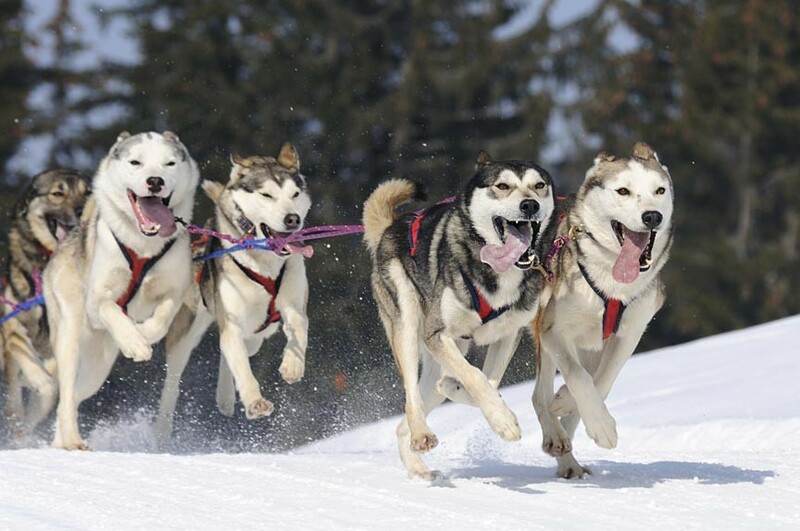 An opportunity to spend the day mushing a team of dogs as they pull you and your sled across the snow is a childhood dream come true. Ice fishing, heli-skiing, and cross-country skiing are also popular with visitors to the Robson valley. Click here to see winter activities. Sign up for our newsletter to receive notice of great seasonal room rate discounts. We can help you create a fun and memorable visit, one you’ll always cherish. You’ll vow to come back time and again. We are your destination in the Rocky Mountains!